Local authorities across England are taking steps to secure the future of their commercial waste services – after a private sector attempt to overturn VAT exemptions was quashed this month. 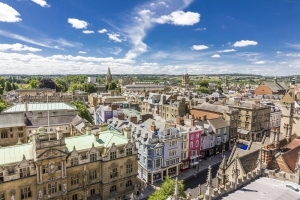 Oxford city council and Dorset county council are among the latest authorities to seek to target growth in the commercial waste sector to generate income for services. It follows news that Slough borough council is to bring its waste services in-house with a view to offer services ‘outside of the council’, while in August Bristol council-owned business Bristol Waste also created a position responsible for delivering ‘profitable’ commercial development (see letsrecycle.com story). Redcar & Cleveland borough council in the North East of England is also seeking to expand its waste and recycling team, targeting candidates with “skills and experience in commercial business”. The push comes as a High Court Judge last week upheld an HMRC ruling that councils carrying out trade waste collections should not be liable to charge customers VAT – despite a judicial review launched by North East-based business Max Recycle arguing this undercuts private sector companies offering the same type of services. The Judge deemed that councils were only carrying out the collections “following a request and for a reasonable cost reflecting cost recovery and no surplus”. However the Environmental Services Association has refuted this as “not credible” and is likely to back a second challenge against HMRC this time suggesting that VAT exemptions give way to market distortion. The potential challenge does not appear to have affected local authority work in the area, with many looking to commercial work to generate income. 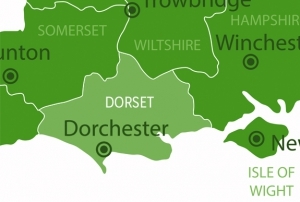 Among these, Dorset county council through the Dorset Waste Partnership is targeting a ‘continued development of income-generating traded services’ – and is seeking to bring in experience from the commercial sector. Oxford city council has meanwhile set out an ‘ambitious business growth programme’ for its commercial services arm. The authority already has a ‘Direct Services’ business unit looking to ‘expand sales to further support funding of council priorities’. In recent weeks the authority has sought to bring on-board an ‘experienced waste industry professional’ to be a part of the team. Private sector claims that councils are benefiting financially from the exemption to boost revenue have attracted little sympathy from the Local Authority Recycling Advisory Committee (LARAC), which represents council officers. Article published on www.letsrecycle.com on 27th September 2016.